Emergency Clinic Open and Staffed 24 hours a day, 7 days a week. Volunteer pet ambulance available 24 / 7 to assist owners and first responders with incidents such as critical patient transport, house fires or accidents, and pet emergencies. The Wells Fargo Health Advantage® credit card is provided with approved credit by Wells Fargo Bank, N.A. This credit card is accepted at participating medical providers, including some human practices. Applying is quick and easy. Central Hospital For Veterinary Medicine believes that pet insurance is an excellent option and can greatly enhance the care you provide your beloved companion. It has become increasingly popular. Having pet insurance can eliminate some of the stress that comes with needing to make a decision about your pet’s care by limiting the financial impact it may have on your family’s budget. Currently, all pet insurance plans are general reimbursement plans meaning you pay the hospital bill and the insurance company reimburses you once the claim is filed. We are always available to help you organize your claims. Pet Insurance Review has a comprehensive list of available plans that can help you find an option that works for you and your budget. 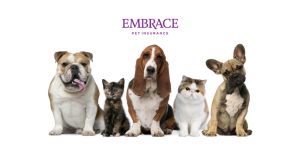 Read pet insurance consumer reviews to find out what others are saying about insurance companies. 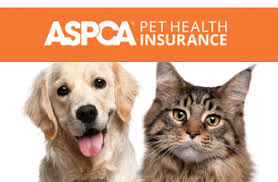 To find out if pet insurance is the right choice for you Click Here. American Animal Hospital Association– This is also a very good site. It has an excellent animal first aid section, a good kid’s page, and information on animal behavior. Check it out. Connecticut Department of Environmental Protection, Wildlife Division– This site has a list of wildlife rehabilitators in Connecticut, as well as information about wildlife and human/wildlife interaction. Handicapped Pets – For elderly dogs, disabled dogs, injured pets and handicapped pets. Petfinders – Many local shelters and rescue organizations post available animals on this site. You can search for pets by location, type of pet, etc. The Purr Project -a non-profit organization whose mission is to match cats that have been abused, abandoned and/or injured with safe homes. Its primary focus is to be a savior for those that would otherwise be euthanized because they have sometimes-serious medical conditions.